Naan is the perfect addition to a plate of Chicken Tikka Masala. So why not add them together with cheese and fresh cilantro to make a delicious pizza? 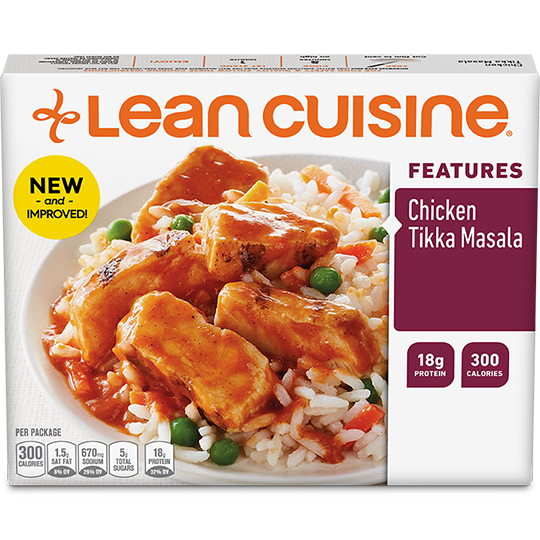 HEAT LEAN CUISINE® Chicken Tikka Masala according to package instructions. SPREAD Chicken Tikka Masala on top of naan; top with cheese. BAKE in preheated oven on wire rack for 10-12 minutes, or until cheese is melted and naan is crispy on the bottom.